Onyx's next ereader looks suspiciously like the Kepler Pro, but you'll need to visit Russia to be sure. 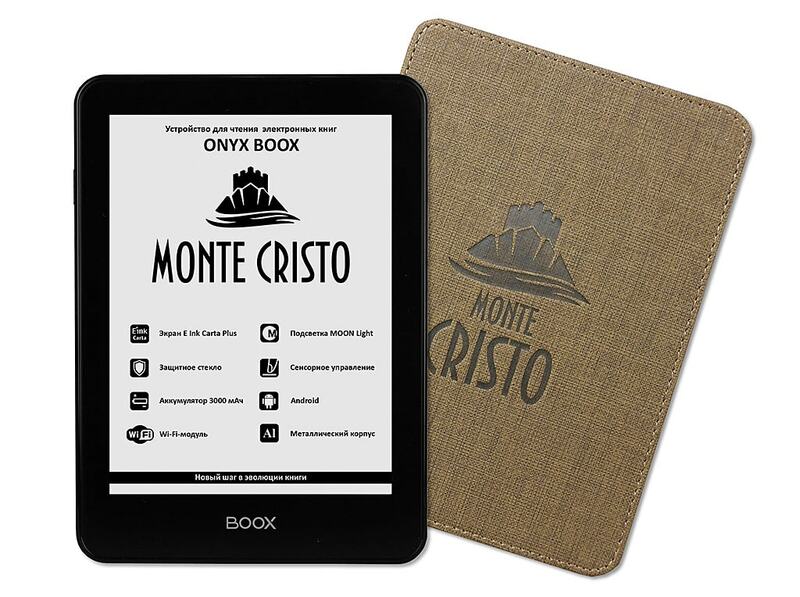 Launching today in Moscow, the Onyx Boox Monte Cristo is a six inch ereader which runs Android 4.2, and carries the latest 300 ppi Carta E-ink screen. The Monte Cristo runs on a dual-core 1GHz RK3026 CPU with 512MB RAM, 8GB of internal storage, and a microSD card slot. It carries a price tag of 10,990 rubbles (about $169 USD), and is a rather basic device given how expensive it is. It has a great screen, a metal shell, and page turn buttons, but there's no audio or Bluetooth (just Wifi). Plus, the RAM is limited. Yes, you can install apps from Googple Play (included) but the limited hardware is going to restrict what you can do with the Monte Cristo. Is it really worth getting? Amazon FreeTime is Once Again Causing Fire Tablets to DeRegister – And Kindles, Too! Boeye. it looks like there latest model. This does not appear to be a re-branded model, as Onyx do not do re-branding at all. These devices are shipped from the Onyx warehouses in China and they have a slightly different international version that is called Onyx Boox Kepler Pro and has Bluetooth too. Weird thing is, the Kepler Pro runs Android 4.0, not 4.2. But you’re right in that the specs are otherwise identical.